Lenovo does churn out some interesting notebooks from time to time, and one of their latest creations would be the Lenovo ThinkPad X130e – a ruggedized version that will target the education sector, boasting features which are said to be able to help students in grades K-12 and helping their schools obtain the most out of their PC technology. Carrying all the necessary specifications required for an educational laptop, the Lenovo ThinkPad X130e will be equipped with the latest Intel or AMD processors, not to mention fast, integrated graphics in addition to wireless connectivity and multimedia tools. Specially built from ground up to be handled by kids, the ThinkPad X130e will come with a reinforced and extra durable top cover, keyboard and hinges. After all, you do know how rough some of these kids can get, and I won’t rule out a cracked display anytime soon, either. Schools and its authority figures will also have no complaints whatsoever concerning the ThinkPad X130e’s performance, reliability and customizable options, as those will include asset tags, BIOS modifications, custom imaging and a broad range of custom colors to choose from. The Lenovo ThinkPad X130e is an 11.6″ lightweight ultraportable, where you can choose between AMD Fusion E-300 and E-450 or Intel second generation Core i3-2367M ULV processors, and depending on the processor of choice, the multimedia chipset will also be different, where it will run on AMD Radeon or Intel HD-powered graphics. Tipping the scales at less than four pounds, the ThinkPad X130e is extremely lightweight to totea round, and there is no need to juice up the battery since it is said to be durable enough for the entire school day – up to 8.5 hours, in fact. A 33% stronger corner is also thrown into the mix to reduce the chance of damage when dropped at an angle, while stronger hinges were specially included to outlast even the most frequent PC user at up to 30,000 cycles. There are also reinforced and recessed ports that decrease the effects of student “wear and tear”, while a stronger bezel that measures 1.2mm, being made out of thick plastic is there to protect the LED panel. 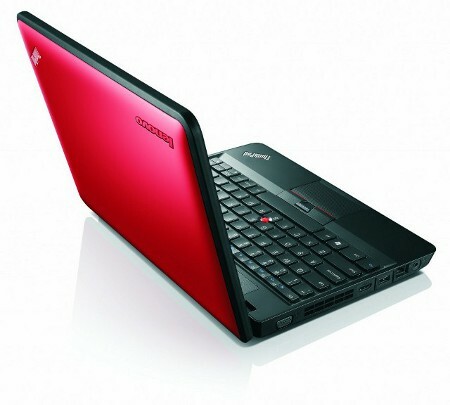 Expect the Lenovo ThinkPad X130e notebook to be out from December 20th onwards, where it will retail from $469 upwards.